Liverpool Collegiate rugby club is a football club playing Rugby Union all over the northwest region of the UK. The club trains amateurs in the rugby game and has members of all ages. The Liverpool collegiate rugby Club currently has 2 senior sides, and a veteran team that plays rugby on a regular basis. The first XV play in South Lancashire/Cheshire Division 3 and the second XV play in the Student Saturday League. Liverpool has witnessed a good number of rugby clubs, right from the formation of Liverpool Club in 1857, the oldest open rugby club in the world. Apart from the Collegiate Rugby club, Liverpool has four more rugby clubs: St Helens, Wigan, Warrington and Widnes. All were formed in the Victorian days and in the last few decades have undergone a makeover to embrace the World of super league. St Helens, the world's oldest open rugby club was founded in 1857 and had been the winner of 2004 Challenge cup. They are in the process of building a new stadium and currently hold a 15,100 capacity with an average attendance of 10,000. The Sefton Club was formed in 1907 under the name 'Aliens'. There are other rugby clubs in Liverpool namely Edwards OB and Merseyside police. 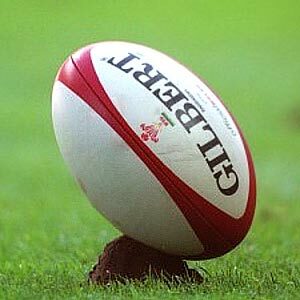 The Merseyside area boasts of some rugby clubs; prominent among them being Widnes, Southport, Warrington, Wigan, Ormskirk, Orrell Anvills, Halton and Newton-le-Willows.